Carers are the original gig economy workers. Can more tech solutions help? Carers, nannies and cleaners have been described as the ​“original gig economy workers.” Usually migrant women, they have been working in isolation for strangers, excluded from basic labour protections, and subjected to forced flexibility and low wages long before we started using apps. Caring services are rapidly moving to online marketplaces and on-demand platforms. Existing technologies have been shaped by a profit-driven model and threaten to exacerbate the poor working conditions that currently define the UK care sector. However, there is also potential for alternative technologies such as platform co-operatives to support the growing movement of care models based on user, practitioner and community ownership. Conversations about the gig economy have focused on the exploitation of a largely male workforce, characterised by Uber drivers or Deliveroo couriers. This has overlooked the experiences of the 55% of platform economy workers who are women working in undervalued maintenance, care and support jobs. Nils Van Doorn highlights how important these experiences are to understanding the way in which vulnerabilities and opportunities in platform work are shaped by gender, race and class. By interviewing cleaners, nannies and other caregivers who depend on platforms like Care​.com and TaskRabbit, researchers at the Data & Society Institute have started to challenge the ​‘Uberisation’ narrative of the gig economy. Carers described how if they do anything in response to feeling uncomfortable or unsafe, they risk receiving a bad rating in retaliation that will jeopardize their pay rate and number of jobs. 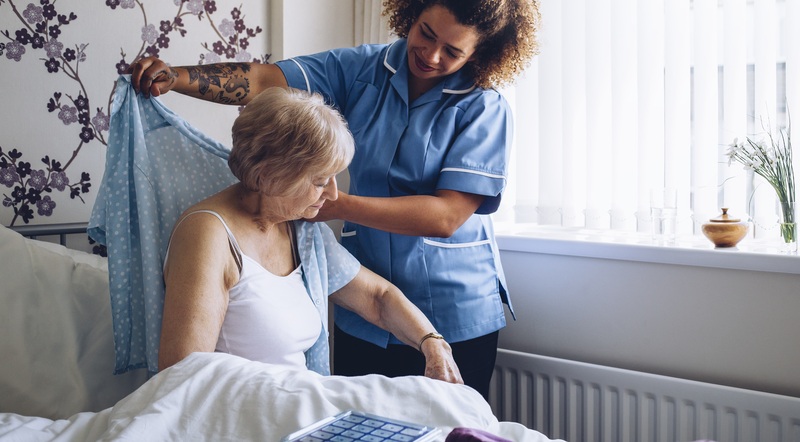 Many have predicted that care jobs could be the largest occupation in the UK economy by 2030, with the displacement of work in other sectors due to automation and the number of people over 85 expected to double. But how can we ensure that these are good jobs? With spending on social care per adult cut by 13.5% since 2010, and increased commissioning of services from private providers, working conditions are only getting worse. The shift towards privatisation has ​“reduced the quality of care, undermined labour market conditions and reduced cost efficiency within the sector.” Private care providers increasingly hide behind complex business models to justify the low pay of frontline staff while allowing investors to extract cash and increase liabilities. Marketing themselves as a tech solution to the social care crisis, a number of venture capital-backed apps and online marketplaces such as Taskrabbit, Handy, and Care​.com have emerged in the UK and US in the past few years. While platform work is strongly associated with casualisation, research by Data & Society and the Overseas Development Institute has shown how these platforms claim to ​‘formalise’ aspects of the hiring process and employment relationship. This has a number of potential advantages, including improved regulation of carers’ qualifications or DBS checks and the ability of workers to track their hours. At the same time, as with elsewhere in the gig economy, many platforms go to significant lengths to avoid an employee-employer relationship, by engaging domestic workers as independent contractors. This undoes progress in the formalisation of domestic work by diminishing legal rights and protections such as benefits and sick pay where they currently exist. Carers described how if they do anything in response to feeling uncomfortable or unsafe, they risk receiving a bad rating in retaliation that will jeopardize their pay rate and number of jobs. These ratings are usually one-way. Clients can technically be reported but the review process is opaque and doesn’t consistently result in them losing access. The use of data-intensive technologies to manage vulnerable populations is also a cause for concern when this data is passed on to third parties. Virginia Eubanks has recently demonstrated how states have combined data sets collected in different contexts to disqualify people from public health benefits. Increased visibility and trackability by powerful institutions also poses huge risks to the safety and livelihood of undocumented migrants as data is increasingly used by the Home Office for immigration enforcement. But alternative technologies could be the key to arranging this essential social reproduction in more locally-rooted, co-operative forms. The platform co-operative movement is reimagining how labour is organised, with the creation of worker-owned platforms that are decentralised, democratically governed and radically egalitarian, offering new infrastructures for grassroots community-based initiatives. Trebor Scholz and other researchers have been extolling this concept for years but they recently received a million dollar startup grant from Google to build a Platform Co-op Development Kit to help bring workers cooperatives into the digital economy. They are already focussing their energies on the social care sector. The NHS and local authorities often talk about ​‘personalising care’ but fail to deliver, because the system is set up to buy care support cheaply and at scale. With democratically structured technologies, users can co-design their own care plan and tailor provisions to their needs which also creates a feeling of empowerment. With social care, the technological complexity required for this kind of app is also much less compared to the requirements of, say, a ride-hail platform, meaning less capital needs to be raised in order to make it operational. The NHS and local authorities often talk about personalising care’ but fail to deliver, because the system is set up to buy care support cheaply and at scale. Equal Care was set up by Emma Adelaide Back to address a crisis of low pay and staff shortages in the industry. It is owned by its service users and workers who receive a choice of whether they prefer to be purely self-employed and have other clients or whether they want the security and benefits that come with employment. There is also potential for these platforms to build networks of support and solidarity, through community forums where care workers can share anecdotes or arrange meetups. While existing profit-driven care platforms claim to make caregiving workers more ​‘visible’, they deny them visibility to other workers. Platform cooperativism by itself will not be a magic fix to deep seated structural issues in social care in the UK with a current funding gap of £2.5 billion. There are limits to what these collectively-owned and self-governed infrastructures can accomplish by themselves, especially with respect to issues of financing and resource acquisition when compared to the networks of venture capital. The role of the UK government could therefore be crucial in supporting and maintaining platform cooperatives through state investment banks, antitrust or regulatory powers and incentives for companies to contract with co-ops. Helen Hester also describes how publicly owned platforms for care services would mean that the NHS or local authorities could divert money from high commission charges for agency workers to fund extensive skills training as automation reshapes the sector. However, this is not generalisable for societies beyond the UK. The role of national governments is therefore crucial in supporting and maintaining platform cooperatives through state investment banks, antitrust or regulatory powers and incentives for companies to contract with co-ops. Helen Hester describes how publicly owned platforms for care services would mean that the NHS or local authorities could divert money from high commission charges for agency workers to fund extensive skills training as automation reshapes the sector. Conversations about the technologies transforming work so often exclude the gig workers whose lives are shaped by them. This is already changing in the US as an increasing number of start-ups have signed up to the ​‘Good Work Code’ written by the National Domestic Workers Alliance. The UK should follow this example and take it further, with technologies that are not only shaped but also owned by these ​‘invisible’ workers and supported by the state. This article was amended on 12.07.18 to clarify that the author does wish to represent the platform cooperative movement as ​‘techno-solutionist.’ Scholz and many other proponents have publicly emphasized that there are many other solutions that are equally worthy.